Sell your new and vintage toys, sports memorabilia, and other collections for cash at DNR Collectibles in PA! Ready to sell your toys and collectibles? 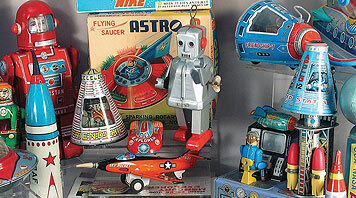 We are ready to buy your new and vintage toys, sports memorabilia, and other collectibles today! Get in touch with us now to find out how easy it is to sell your collection to DNR! We love to buy action figures, diecast and model vehicles, Hess trucks, trains, Barbies, sports cards, movies, memorabilia, video games and consoles, and more! There's no easier way to sell your large collections! It can be as simple as giving us a call and having us come to your place for pickup. We make transactions as pain free as possible and will pay you cash when we pick up your collection. We know you have them. Don't be afraid to ask! If you have a few questions but don't feel like calling yet, here's a list of frequently asked questions we receive from people interested in selling their collections to us. Looking to sell your collectibles today? Whether they are a personal collection, excess from store stock or just items you no longer need, we most likely buy them! DNR Collectibles buys a variety of items including most anything toy related, whether it's action figures, Barbies, diecast vehicles, Hot Wheels and Matchbox, models, trains, Hess trucks, vintage toys, wind up, tin or pressed steel toys - we buy it all! We also purchase items of interest such as musical and movie memorabilia, sports cards and memorabilia, and a variety of other items. With over 50 years of experience in collectibles we always strive to make every transaction with our customers a great one. 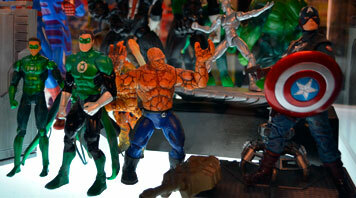 So if you're looking to sell those toys and collectibles today, check us out. It will be worth the trip! Action figures, dolls, movie-themed toys, and more! What Else? You'll never know the value of your vintage collection unless you ask. What Else? 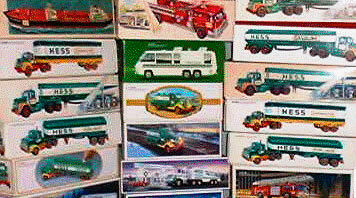 Model cars, diecast, Hess trucks, trains, and more! What Else? see a full list of toys we are looking to buy! With a combined total of over 50 years in the collectibles industry. 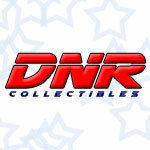 Owner of DNR Collectibles and active toy collector and seller for over 30 years.